Yesterday morning, after listening to lengthy, soul-draining bickering between my children, I lost my temper in an extravagant fashion. This is always a good way to start a Sunday morning as you're getting ready for church. Hey kids, let's all yell at each other, then go to church and love God! But it happens. We humans are wildly fallible. Then two things redeemed my day. 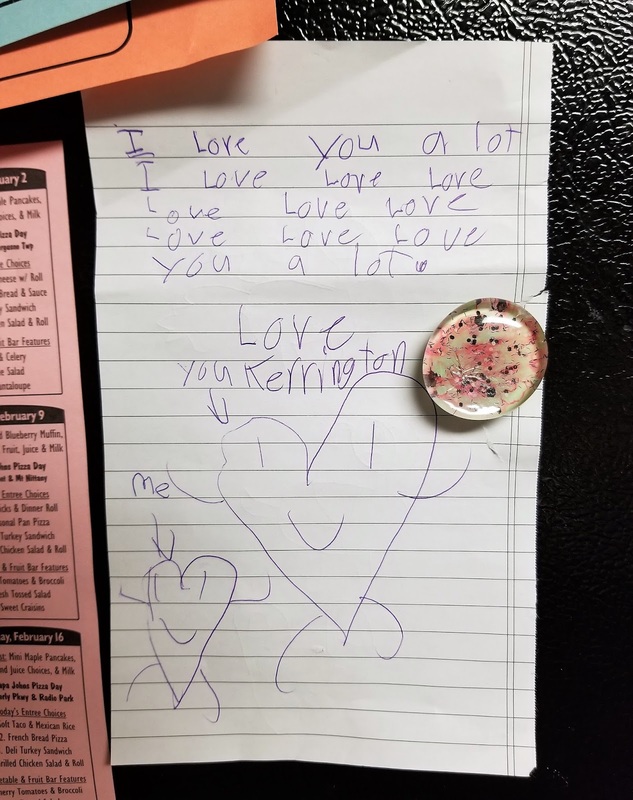 One, as we left the house, sullen and prickly, I passed the refrigerator and saw a note that my youngest daughter (and yesterday morning's chief perpetrator) recently had written for me. She loves me. In fact, according to this note, she doesn't just kind of love me; she loves loves loves me a lot. All of my daughters love me, even the tween, who has been known to freak out with an exasperated "Mooooooom!" when I do anything she deems embarrassing, like daring to sing along to one singular line of a good song in the grocery store when we're in an otherwise empty aisle, or on her more pubescently-tinged days, attempting to greet her in public. And I love all of them in my wildly imperfect way, even with the soul-draining bickering. I have to believe this love sticks to them. After all, the foundation of love and support that's made up the bulk of our lives together under this roof -- this mostly stable and civil background we've established over the years -- isn't undone by one bad moment, or morning, or week. I mean, I'm mostly a sane mom, except for the moments when I'm clearly not, and I imagine that those moments will eventually lead to great stories when girls are adults. Hoooo boy! Remember that one time when we were fighting and trashed the kitchen, and then Mom slammed the microwave door so hard that it broke on its hinges? The second redeeming moment, after seeing the refrigerator note and making things right during the car ride to church, happened as we sang one song during worship. It's called "Reckless Love," and it's so gorgeous that tears stung my eyes before we got through the chorus. It chases me down, fights till I'm found, leaves the ninety-nine. but still You give Yourself away. Yes, twenty minutes prior I had been yelling at my children, and now I was immersed in the reminder that God's love toward me is extravagant. 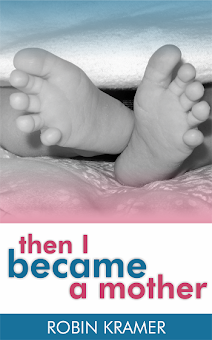 I certainly hadn't earned it, but there it was: freely given, lavishly extended, unconditional. Sometimes love is overwhelming and reckless. A daughter who draws a picture where we're depicted as two hearts, one large and one small, and announces that she loves loves loves me a lot. A God who never grows weary with my screw-ups, and welcomes me back, time after time after time. Thank God for reckless love. I'd be remiss if I ended the post without sharing the song (Reckless Love by Cory Asbury) for those of you who might not have heard it. I encourage you to listen and let it soak in. It's wonderful.